Much has already been written about sigint operations in Hong Kong. For anyone interested but not wishing to plough through reams of unrelated material I can do no better than recommend the 367SU Associations web site at http://www.littlesaiwan-367su.talktalk.net/history.html. Here one will find an excellent potted history from the formation of the unit in 1942 through to its operations in Burma during WWII until, to my mind, its sad take over by GCHQ and DSD civilians in 1962. My personal involvement in operations there commenced in August 1951 through to May 1953. About half of my time in the Colony was spent in the New Territories working in a small hut in the middle of a Padi field. This was a DF (Direction Finding) site known at that time as Ping Shan, later to be named Kong Wei after the hut caught fire and burned down and a new more modern one was built alongside the road there. Accommodation for the operators of this site was provided at RAF Station Sek Kong, an operational airfield a few miles distant. 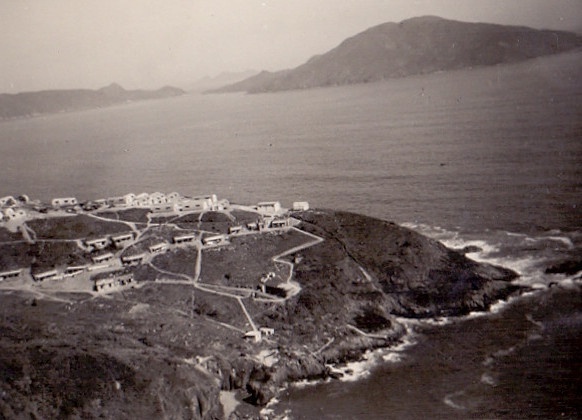 Operators at the main intercept site, Little Sai Wan on Hong Kong Island were for a time billeted in Nissan huts and cave dwellings at Cape Collinson a few miles along the coast. In early 1953 they were moved to newly built accommodation blocks on the operational site after a short spell in a British Army barracks at Lye Mun. A few pictures taken during this time can be seen on the Oriental Ops Photos page.